Easy to Learn Korean 322 – BBQ Shellfish 조개구이. 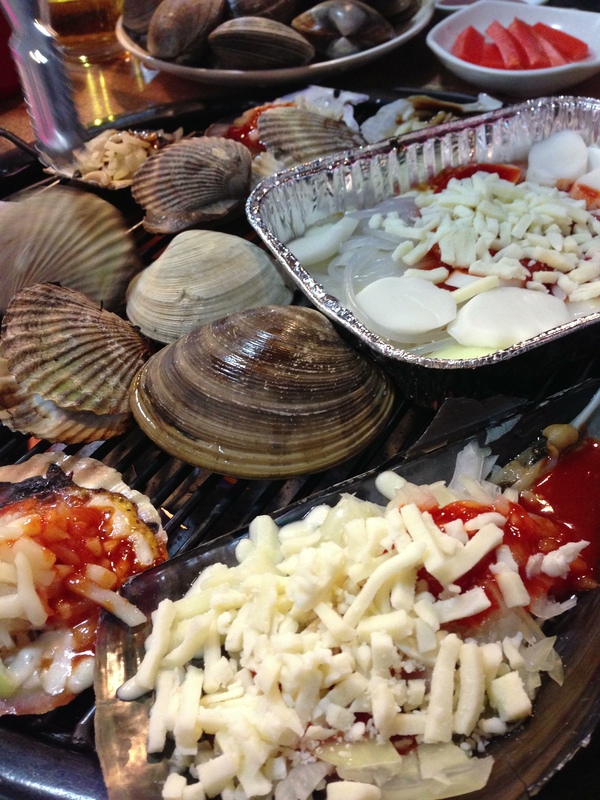 I found a great BBQ shellfish restaurant in Suwon City, Gyeonggi-do. The price was 17,000Won per person with unlimited refills of shellfish. This entry was posted in Series and tagged abalone, barbeque, bbq, clams, crab, grilled shellfish, oysters, scallops, seafood, shellfish, shrimp, snails by easykorean. Bookmark the permalink.